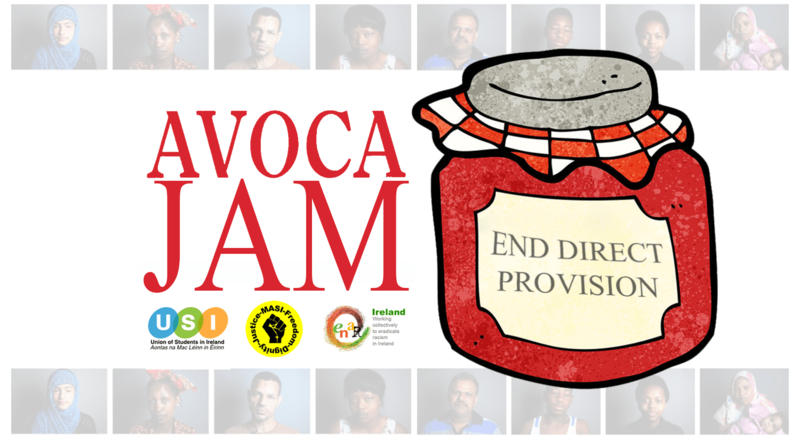 The Union of Students in Ireland (USI) today announced it will take action against Avoca, a clothing manufacturing, retail and food business in Ireland, because of ties to direct provision centres. The action will take place on Saturday the 23rd of December at 1pm on Suffolk Street outside the Avoca store to highlight to Christmas shoppers the ties the store has to direct provision centres through its owner, Aramark. The Union are calling for Avoca management to cut ties with Aramark in the New Year as part of Avoca’s New Years Resolution. “Aramark is a US owned company which provides the catering for 3 direct provision centers”, Mr Kerrigan added. The action is supported by the European Network Against Racism (ENAR) Ireland and the Movement of Asylum Seekers in Ireland (MASI) as it joins the Union’s efforts to highlight the devastating effects direct provision is having on asylum seekers directly. Direct provision is a means of meeting the basic needs of food and shelter for asylum seekers directly while their claims for refugee status are being processed rather than through full cash payments. Introduced on the 10th of April 2000 as a temporary emergency measure, the system of ‘Direct Provision and Dispersal’ is 17 years old. In this time, it is estimated that the Department of Justice (via the Reception and Integration Agency, RIA) has paid out over €800 million to private companies. Most asylum seekers in Ireland have spent over four years in Direct Provision, according to Nasc Ireland, an immigrant support centre. Young people in the asylum system do not have access to a third level education. Only two asylum seekers qualified last year for third-level grant support under a Government scheme designed to assist young people in the protection system.